I've got something special in store for my readers today! An insight into my childhood... when I (aged 5) was obsessed with RAINBOWS! 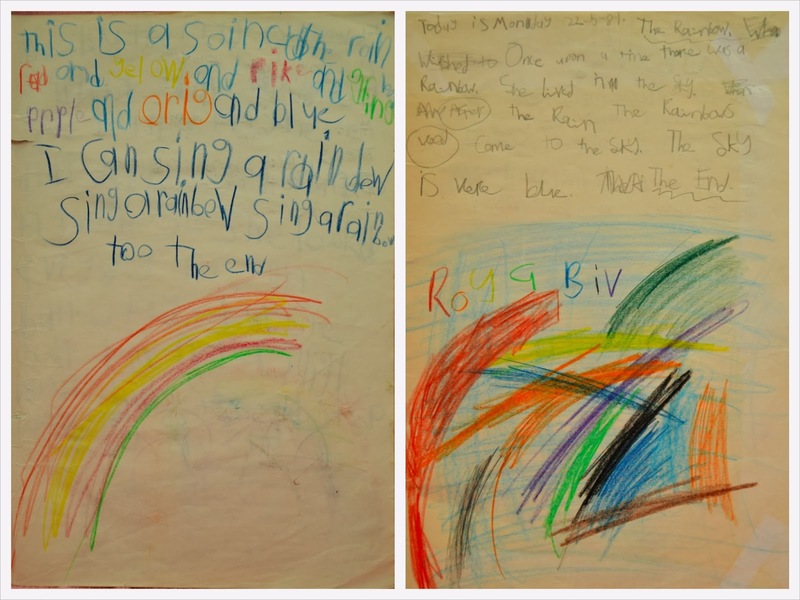 I drew pictures, I wrote stories, all the rainbows in the stories were named after my friends, I knew the rainbow song (left picture below), I knew what ROYGBIV meant (right picture below), and of course like most children, I remember looking up in awe at a real life rainbow in the sky. I have two work books from my early primary school years - that's all I have left! And they're so different to the work books of the students I teach now in 2014. There is something so visually appealing to the eye when the colours of the spectrum are in perfect rainbow order. I remember learning how to blend and fade colours in art class during my early years of high school. Art now is one of my favourite lessons to teach! My students to write their letters or spelling words in rainbow colours, I teach them the rainbow order, whenever we draw a landscape picture there is often a rainbow in the sky and classroom displays utilise the rainbow colour order wherever possible. 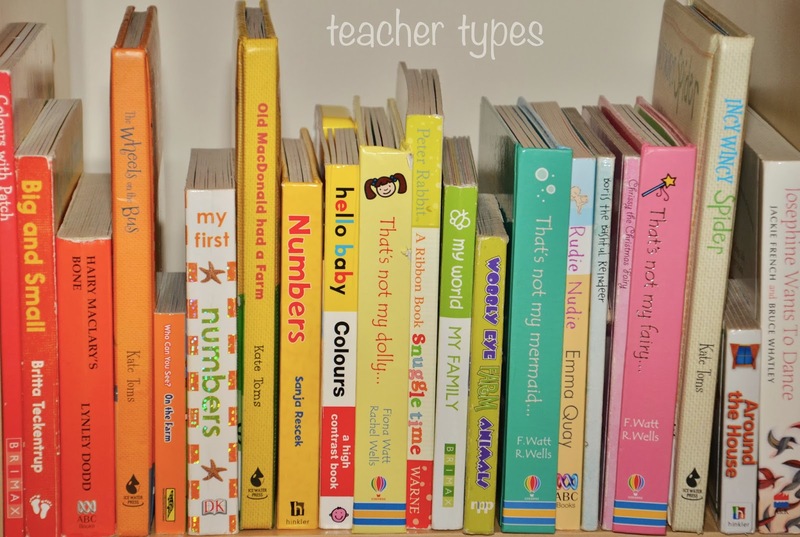 Have you ever arranged a book shelf in the rainbow order? 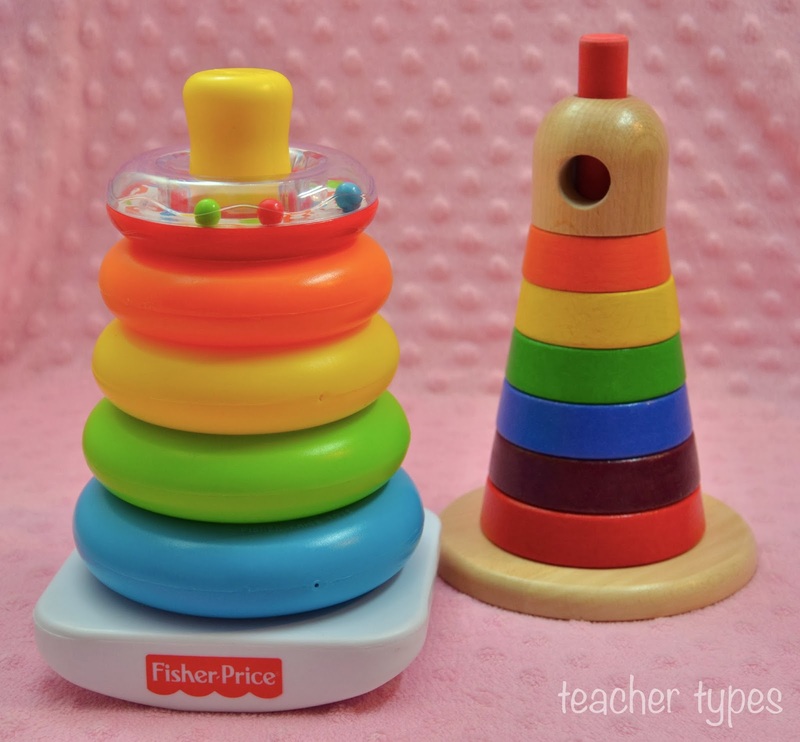 Click here to see one of my friend Sarah Tamblyn's activity ideas where her two little guys learnt the rainbow order while enjoying playing in the Tupperware cupboard! 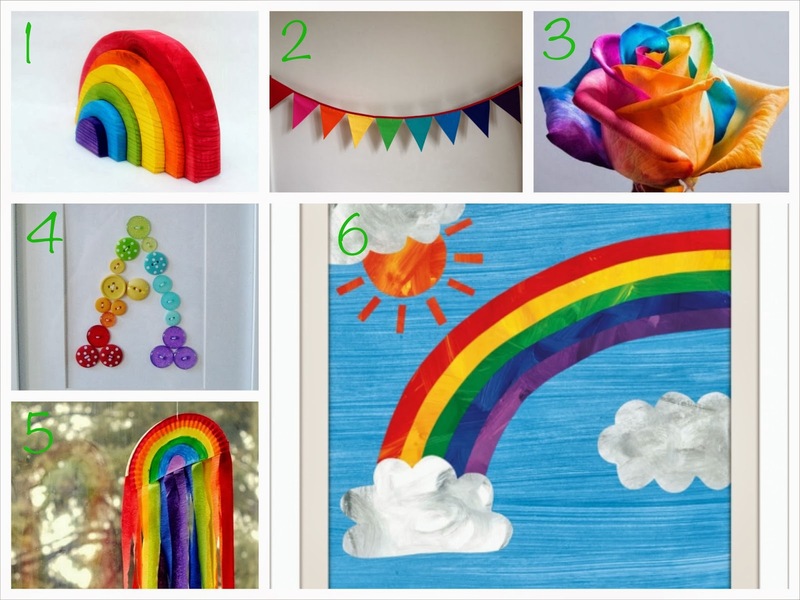 And here are some inspirational rainbows finds from my Pinterest page and Etsy favourites! Keep a look out for my next post "Three Fun Things To Do With Food Colouring" that continues this rainbow theme (psst do I have any readers out there yet? 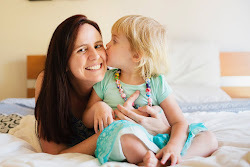 If so you can now subscribe to my blog by email and you'll be notified every time I post). That is just gorgeous! I loved seeing your stories :) Glad to know I'm not the only one who has hung on to these keepsakes.